Nastia’s rise to the top is a fascinating story. Since adopting the name Nastia, shortened from her real name of Anastasia Topolskaia, her career as a DJ has gone from strength-to-strength. Nastia’s first steps within the nightlife industry were as a dancer. Eventually her curiosity got the better of her, asking her boyfriend at the time to show her how DJing works. Now, in 2018, the Ukrainian DJ is recognised as a household name sharing lineups with the biggest names in house and techno. Ahead of her panel and DJ set at International Music Summit, we sat down with Nastia to celebrate International Women’s Day and to find out who her female idols are and what advice she would give for aspiring artists looking to take their first steps into the music industry. 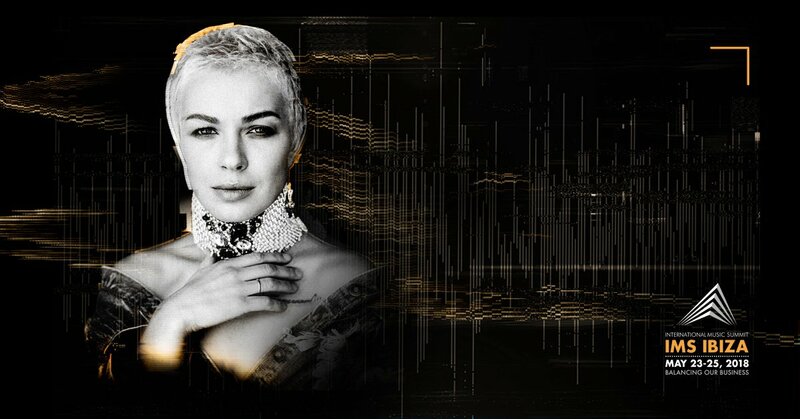 Nastia will be speaking at International Music Summit 2018 and will perform at the Dalt Vila closing finale in Ibiza old town. We’re celebrating International Women’s Day. Who were your female idols when growing up? My favourite all time female idol is Angelina Jolie. Her way is just great and full of so much experience. I still love and respect her so much. I also remember I liked Nicole Kidman – she was always so graceful and stylish. What is your current support system like? Do you have any female role models or close friends around you on the road while you travel? I don’t have any role model or no female friends who travel with me now. I have a female friends in Hungary and Mauritius – they used to travel with me quite often, but not anymore. Things have changed, they got a little bit more busy too. I am used to being friends with men more and they are always around to support me. Your first steps into nightlife culture were as a dancer in a local club. Where was this and what were the first steps you made when you started DJing? How did you learn? I was working at the nightclub in Donetsk, so obviously I was around a lot of DJs. A lot of stars. My boyfriend at that time was a DJ, so one day I asked him to show me how DJing works. He was a resident at one club on a Monday night, we would arrive there one hour before the opening and he would show me the technical things on a simple two channel mixer and a double CD player which had very sensitive jogs. After two or three months he gave me the chance to try my skills with people on the dance floor. After six months I got my first request to play in a city in Western Ukraine. I picked it up very quickly and developed my skills. It was very intense. Throughout the whole of your career, you’ve focused on being a DJ. Do you think young aspiring artists feel pressured to produce in order to get noticed? Instead of learning their craft as a DJ first? I think it’s always better to learn how to DJ first. It lets you see what kind of music you like playing. You can learn to play vinyl first and read history books on how it all started. Then you can try on CDJs and then maybe learn some DJ programmes and machines. After you get experienced in this, then it will be easier to produce as you know what you want to play. Nowadays, of course, it is easier to get noticed if you produce. But if you don’t know how to DJ, what are you going to do when you start gigging around? If you have no skills or experience of playing music at parties, then it will be probably be your first and last gig whenever you perform. People don’t understand that being a DJ and a producer is not the same. Only some of the DJs can produce good music and only some of the producers can play a good set at a party. Before you join us at IMS Ibiza, you’re hosting an all female lineup at Miami Music Week with Peggy Gou and Ellen Allien. Are you looking to do more of your own parties? Why did you choose Peggy and Ellen as your guests? I like them a lot. I must say girls deliver a better energy when they play music. Girls are more open and free to a share positive energy. They are more emotional and friendly. It’s more interesting to listen to and to watch. Peggy is the most positive artist I know, she’s hot right now – a well deserved star. Ellen is classic and respected DJ proving her high level position and skills over many years, almost since our scene was born. It makes me feel like I would like to go to this party. If it wasn’t my party, I would definitely be going there. Moving on to IMS Ibiza. You’re making your debut at the summit this year, speaking on a panel and also playing at IMS Dalt Vila. Are you looking forward to it? Mental health and wellness is a big topic for us this year. As a parent who tours full time as an artist, how do you prepare yourself for your gigs and long tours away from your family? Nastia is one of 69 leading industry speakers confirmed for IMS Ibiza, May 23-25th Hard Rock Hotel. Secure your badge now.